By far, when working with hyperpigmentation issues, laser treatment for dark skin is the most difficult, reactive and challenging skin. Such as those with Mayan, Native American and Asian origins, and especially East Asian skin types, such as Indian/Pakistani. 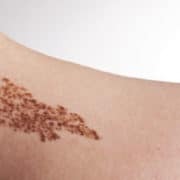 Even when such ethic skin is otherwise healthy, treating a melasma is extra challenging and requires additional testing and ongoing modifications to avoid the natural tendency of darker “ethnic” skin to hyper-pigment in reaction to any kind of irritation. 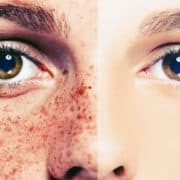 To make things even more difficult, an underlying melasma can be further exacerbated by cystic acne that is causing “post inflammatory hyper-pigmentation”. In such cases, even a tiny amount of irritation associated with the acne, would cause the melasma to flare up and darken. Many doctors turn patients with this type of skin away because it is so difficult to treat, precisely because the laser treatment for dark skin that can be successful with the acne, often exacerbates the melasma due to the reactive nature of this kind of ”ethnic” skin. Many doctors prescribe Accutane for cystic acne in hopes of clearing the cysts without causing hyper-pigmented skin. However, the side effects of Accutane are so dangerous and severe, we do everything we can to avoid it. In even the best cases, successful treatments of the cystic acne can suddenly revert with the return of the melasma due to even minor irritation or sun exposure. Unfortunately, even when the acne is healed, patients with this type of skin often “chase” the melasma for years, as treatments may work temporarily and then revert. Instead of turning away melasma patients with “ethnic” skin, we have decided to do our best and invest the necessary time and resources in developing, and individually customizing, a laser treatment for dark skin protocol for each patient, who is willing to go through the necessary trial and error process. As in all Unstable Melasma cases, especially those complicated darker “ethnic” skin, we start with a series of small test laser treatments whose results we evaluate 1-2 weeks later in order to determine which therapeutic modalities the patient’s skin responds to best. 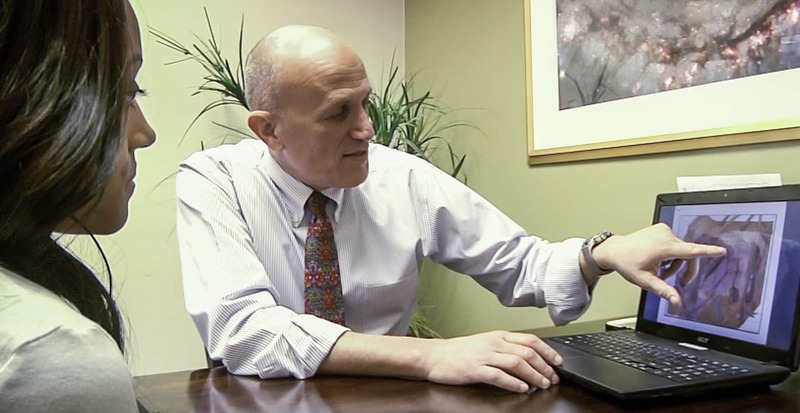 For exactly this purpose we own over 25 state-of-the-art lasers comprising a wide spectrum of wavelengths engineered for targeting different types of tissues and types of skin. 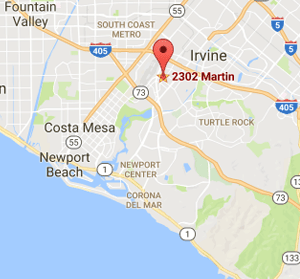 We do this testing for free… at no charge to the patient. (We are the only medical practice that we know of that does this). Sometimes as many as 7 different trial treatments are needed until we discover a combination protocol that works well… and unfortunately, sometimes, the patient’s skin is too reactive and nothing we try works. Once a good physiological response of the skin is discovered, we proceed with customizing a laser treatment for dark skin that is best suited for this particular patient’s skin. In some cases, the initial customized protocol is sufficient to resolve the melasma in a series of treatments. 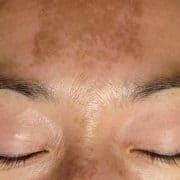 In other cases we might find that the patient responded well to the initial treatments, but on subsequent treatments some areas of the melasma might stop responding or might even get darker. Again, to be as clear as possible: in the cases of an unstable melasma, treatments often require constant adjustments, and a “3-steps forward, one step backwards” progress is common. While this is not unusual for this type of reactive and unstable darker “ethnic” skin, it can be very disheartening to the patient. 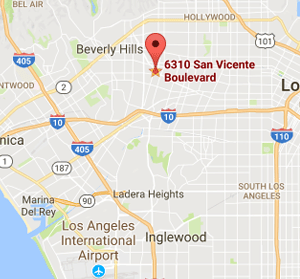 We totally get it – it’s a bummer – we too are very frustrated and disheartened when this happens … and though we are forthright in preparing patients for the possibility that this might happen, some patients are very discouraged and chose not to continue with the laser treatments. We get that too… It’s easy to lose hope, especially when the appearance of your face is at stake… and the treatments cost money. When getting a laser treatment for dark skin… If your skin needs a break… give it one! The good news is that sometimes a break is exactly what the skin needed… And frustrated patients might return a year later and find that for unknown mysterious reasons, this time their skin responds better, and their melasma is successfully treated. One last comment about laser treatment for dark skin and your skin needing a break. There are darker skin patients with skin hyperpigmentation who have tried dozens of remedies and treatments before they finally find their way to us. 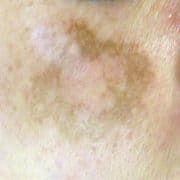 For many of them, their melasma has gotten progressively worse during the course of all these treatments. This is especially true of those with darker ethnic skin who have an unstable melasma. In cases like these, often their skin is so “overstimulated” by all the “stuff” that has been thrown at it, that is in a state of hypersensitivity and hyper-reactivity just because of all the treatments. For a patient like this, we will recommend a very very very simple regiment of natural calming balms and lotions that skin loves… and that will calm it down and help restore its homeostasis (biological balance). Thereafter, once their skin is calmed down, their melasma has a much better chance of being successfully treated. Of course, in order to protect the skin from being stimulated by the sun, in all cases of melasma, patients must use a broad spectrum sunblock, with an SPF factor of at least 50. It must be applied in the morning and again in midday. Nugget: I call this condition: “Too much in the soup”. Unfortunately this happens all too often in the world of medicine, wherein a patient is taking too many remedies, medicines and treatments for a particular condition. Sometimes one doctor may have prescribed all the treatments and sometimes the patient is following the advice of a number of doctors, pharmacists, friends and web-articles. The point is: “There is too much stuff in the soup”, and we cannot tell what is working, what is not and what might be making things worse. Like a soup that tastes bad… If it’s packed with 37 ingredients, there is no way to know which ingredient is the one that’s making it taste bad. You have to simplify the recipe to figure it out. Analogously, so much is being thrown at your physiology, that it is agitated and in an unstable state of heightened sensitivity and over-reactivity. Thus, we need back off and simplify the physiological landscape by eliminating everything we can, thereby calming it down to more stable state.